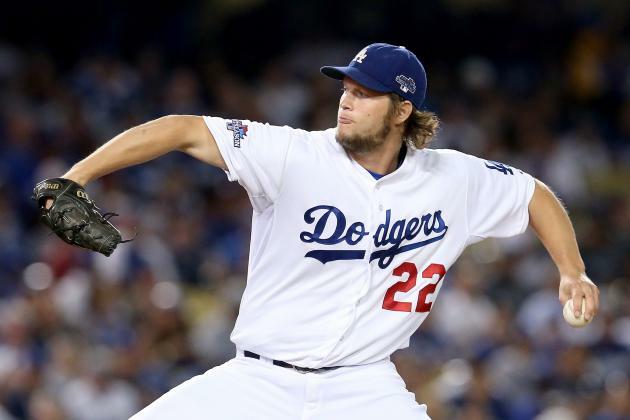 Clayton Kershaw will need to boost his October pedigree to push the Dodgers past the Nationals in the NLDS. Man this is a tough one to pick. The whole world is on the Red Sox here, and I certainly understand why. They have the best offense the game has seen since the 2009 world-champion New York Yankees, star power in their rotation and bullpen, and a storyline of David Ortiz’s swan song that is too powerful to ignore. But having said all of that, for me, it will ultimately not come down to any of that. First off, let me say this on the Indians: this team didn’t win 94 games by accident. They too have a strong offense, and their bullpen has picked up the slack in the absence of two of their top starters in Carlos Carrasco and Danny Salazar. It’s been a good year so far for Cleveland sports (excluding the Browns), and there has been some late-inning magic at Progressive Field. But, alas, the one simple fact is this: it’s Boston versus Cleveland. Boston wins in sports, and Cleveland, with the exception of the 2016 Cavaliers, does not. Terry Francona wants badly to stick it to the team that dismissed him after the well-known 2011 collapse, and I have no problem saying that this will be a more competitive series than people think. Ortiz and the Sox will move on to the ALCS after a fight from the pesky Indians. Prediction: Red Sox in 5. So are the Rangers lucky, good, or both? It’s hard to know what to make of their league-best 36-11 record in one-run games, but we do know that this team is playoff-tested. They are also out for revenge against the bat-flipping Blue Jays, who came back to win three straight after dropping the first two games of last year’s ALDS at home. Toronto has a deeper rotation and, if it’s on point, a better offense. The bullpens both have their warts, but I’d still give a slight edge of my trust to Roberto Osuna over Sam Dyson (he of the home run allowed that prompted Jose Bautista’s bat flip). Texas’ rotation has struggled of late, and the Blue Jays may have just been happy to be in the playoffs last year but expect to be here and expect to win in 2016. Their beer-and-trash-throwing fans will be treated to another ALCS berth, and let’s just hope they can keep things civil when Rougned Odor, he of “The punch heard ’round Canada,” and the Rangers come to town this weekend. After all, it is Canadian Thanksgiving… Prediction: Blue Jays in 4. A battle of two teams who constantly underachieve in October, the Dodgers should get the edge here given that they not only survived, but thrived in the prolonged absence of Clayton Kershaw this summer. Now Kershaw is back to head a solid if not spectacular rotation, and the Nats are without one of their big horses in Stephen Strasburg. Not only will Strasburg not pitch in the NLDS, the Nats, who have never won a postseason series in franchise history, will also be without one of their heart-and-soul players in catcher Wilson Ramos. Combine that with some other health concerns surrounding Daniel Murphy and Bryce Harper, and this series could be short for Washington. Los Angeles has had contributors from all over the place this year, and that should serve it well as it looks to get over the hump after losing in the NLDS the past two years. Even though the back of the rotation is iffy, Kershaw, Rich Hill, and Kenta Maeda should do enough of the heavy lifting to get the Dodgers to the NLCS. Prediction: Dodgers in 4. How fitting that the Cubs will have to get through the gold standard of the National League in order to live up to everyone’s lofty expectations. The Giants have won 11 straight postseason rounds (since wild card games are considered “rounds”) and are not to be taken lightly in this even year of 2016. Still, they have their deficiencies that were masked by Madison Bumgarner’s brilliance last night, and the Cubs are the better team when it boils down to it. No, this won’t be a sweep, and no, Cubs fans won’t start breathing normally until they are watching the championship parade. But Joe Maddon will have his Cubbies up and ready for this series, and their dominant rotation, versatile offense, and good-enough-bullpen will get them past the masters of October themselves, the Giants. Prediction: Cubs in 4. Be the first to comment on "MLB Division Series: Preview and Predictions"